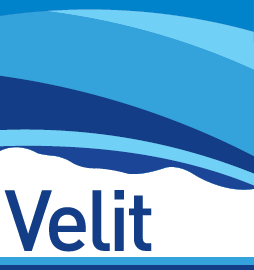 Velit can Depth convert complex geological structures. 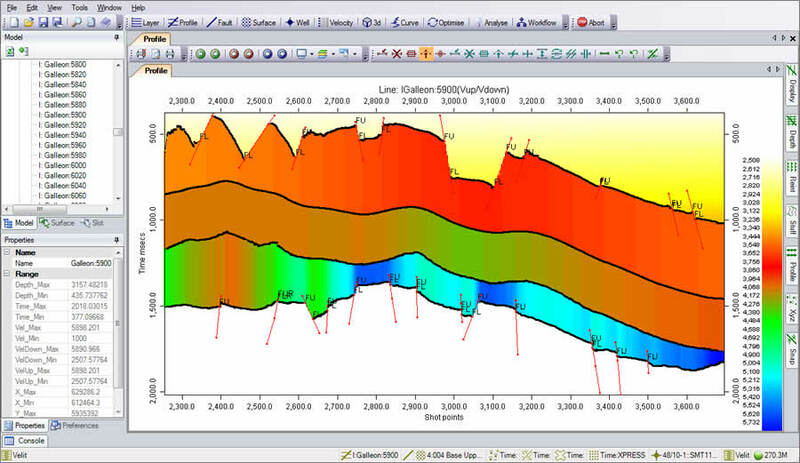 The profile mode handles complex structures that cannot be presented by a simple surface. 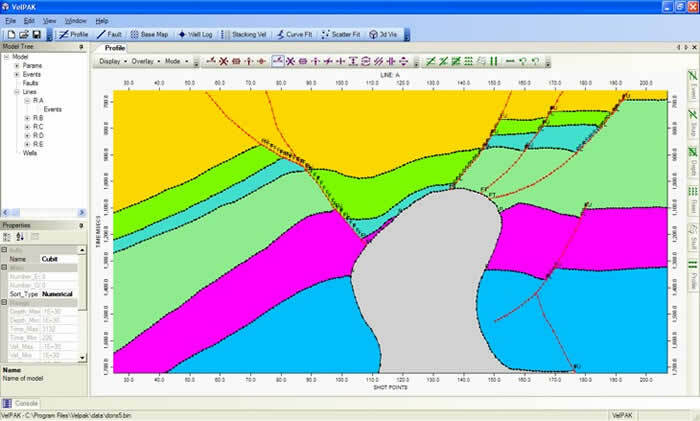 Diapirs, reverse faulting, shallow gas, channels and intrusions can all be depth converted assuredly. Often, the velocity field can be very complex. 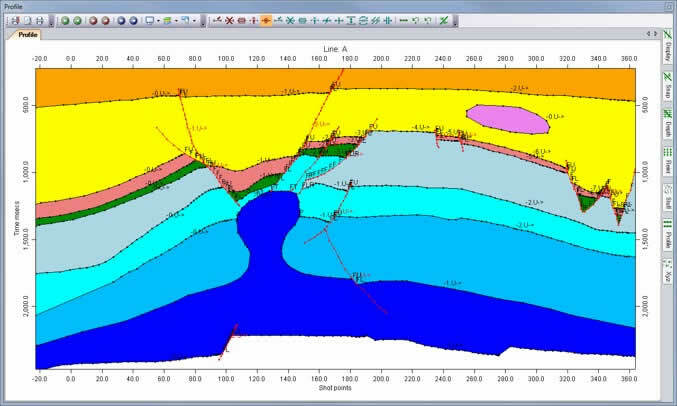 Making cross-section models allows you to quickly see how different velocities and structural forms impact the depth of your targets. 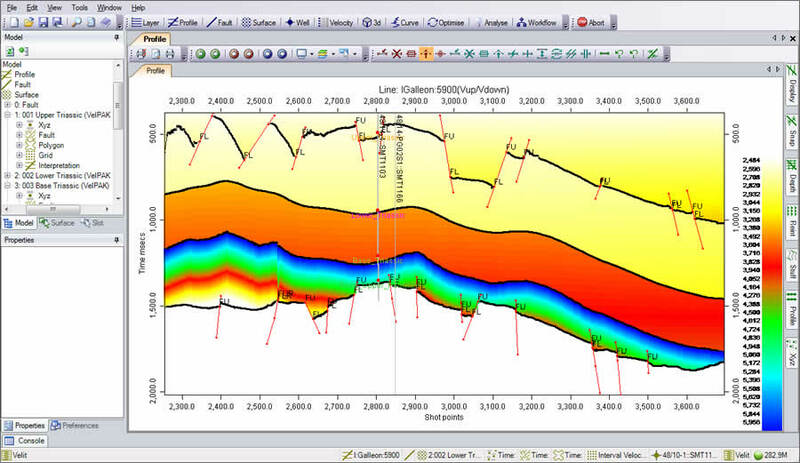 Creating profiles is also a great way for the interpreter to define the issues that the PSDM processor must address.